We’ve recently moved to Brooklyn Heights and we’re just out of walking distance for anywhere that sells really good coffee beans for brewing at home. So I’ve started looking for the USA equivalent of my beloved Pact Coffee subscription in the UK. It turns out there are some great options in New York for having coffee delivered to your home each week so that the beans are extra fresh. The Brooklyn Roasting Company options for beans are good but you need to purchase the annual subscription as a single upfront purchase and the delivery costs are additional. I’ve found their general house espresso roast to be far too dark for use in an Aeropress or a French Press plunger at home. The Brooklyn Roasting Company subscription is really just a mail-order delivery. I’m still a fan of Brooklyn Roasting Company but their subscription service feels like its been tacked on as an afterthought. For me Stumptown is the leader in the New York coffee scene. On average all their roasts are slightly lighter and in keeping with the taste of modern coffee connoisseurs. 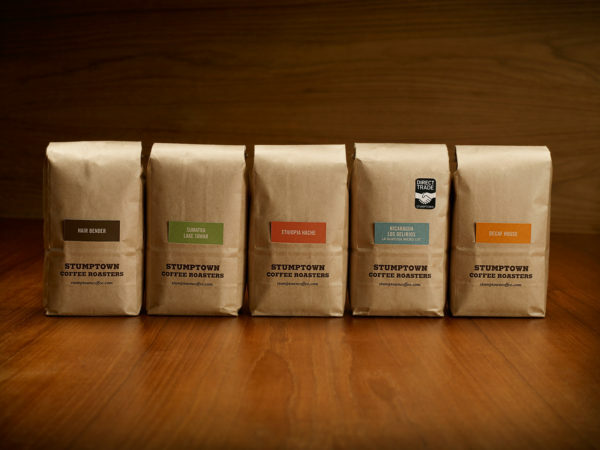 The Stumptown Coffee Subscription arrives every two weeks. Blue Bottle is a Venture Capital backed startup. Last year they acquired a dedicated coffee subscription startup to re-brand it as part of their family of cafes and roasters. I find their espresso beans a bit weak and flavorless but their in-home subscription service allows for you to try different coffees each time so it should all balance out. 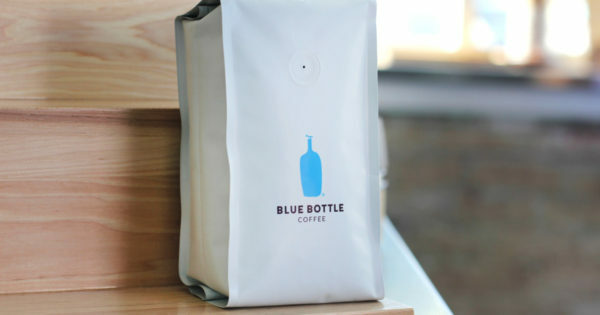 The Blue Bottle coffee bean delivery feels like a modern on-demand startup service. Their subscription business is obviously a key focus for them and they seem to have put the most effort into building the subscription model and allowing you to customize it. Over the coming months, I’ll be trying the different coffee bean delivery services in NYC to see which ones have the best beans, delivery and customer service. I’ll let you know what I find out. I love the idea of coffee subscriptions. This is actually the first one I’ve heard of (is this popular?). In Australia, they’re popping up everywhere. The majority of the roasters here offer their own subscription service, but there is a growing number of startups who use a different roaster every month. Great for variety for us but also great exposure for new roasters entering the market. It is getting more and more popular by the minute. Here in the UK, Pact Coffee are doing a brilliant job with their convenient subscription of fresh coffee beans to your doorstep. I agree with you about Blue Bottle’s subscription. The espresso beans are a tad weak for my taste. However, being able to try different coffees each time a package arrives is a nice touch. I do the same thing with a tea company. They send me random sample each month and I have found a few new blends I enjoy that I wouldn’t have found otherwise.